Here are 80 disaster management rules to reflect on, remember and follow in the immediate aftermath of an incident involving mass casualties. Each rule is a single-page long, providing the essential information to inform the most common critical decisions you will have to make in either a civilian or military environment. 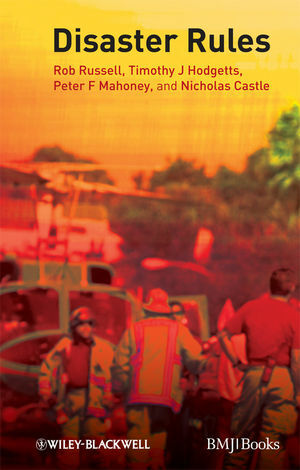 Written by clinicians with deep clinical and operational experience, these rules are concise evidence-based guidelines for all medical personnel dealing with disasters at the scene or in hospital. Based on the Major Incident Medical Management and Support system widely adopted in the UK, mainland Europe, Australasia and NATO, they are both authoritative and effective. Chapter 2 Command and Control Rules. Chapter 10 Mass Gatherings Rules. Chapter 11 Special Incidents Rules. Chapter 12 The Last Rule.